Fort Clinch State Park has 62 campsites set up in two campgrounds/loops where you can either camp near the ocean or under a canopy of moss covered trees. 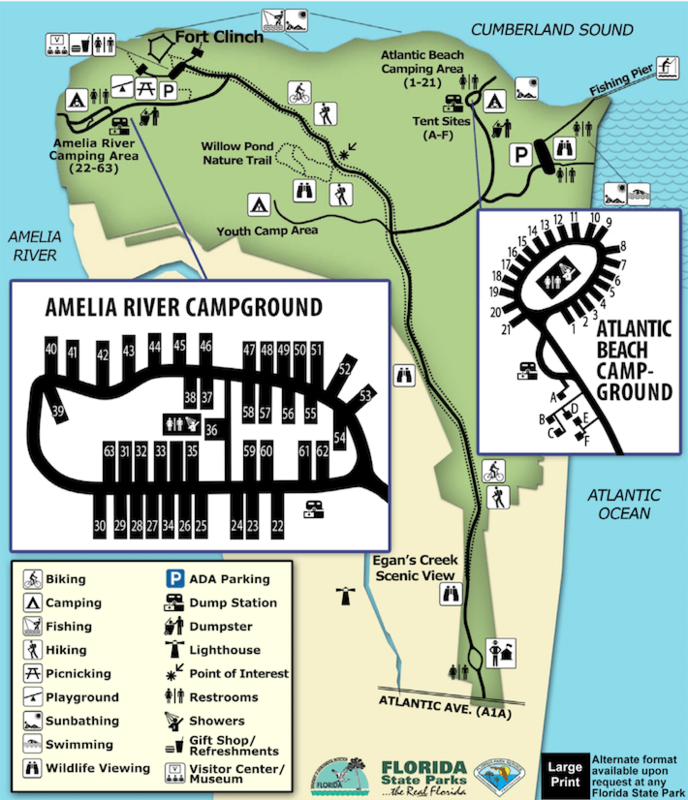 The Atlantic Beach campground (sites 1-21) is in an open area near the ocean and the Amelia River campground (sites 22-62) is under a canopy of large trees. Campsites can accommodate tents, trailers and RVs. Each campsite has water/electric hookups and also a table, fire ring and grill. There is a dump station in each loop, as well as drinking water, flush toilets, hot showers ($) and a laundry. Fort Clinch State Park is a well-preserved Civil War fort where visitors can explore the many buildings, room, galleries and grounds. Daily tours are available and also period re-enactments that depict garrison life during the Civil War. Visitors can also explore, hike and bike on the 1400-acre park’s many trails. Other outdoor activities include swimming, kayaking, skin diving, surf fishing, beach combing and wildlife viewing. Little Talbot Island State Park is just 17 miles to the south. Crooked River State Park (GA) is also 51 miles away. 22, 30, 40, 42, 53. 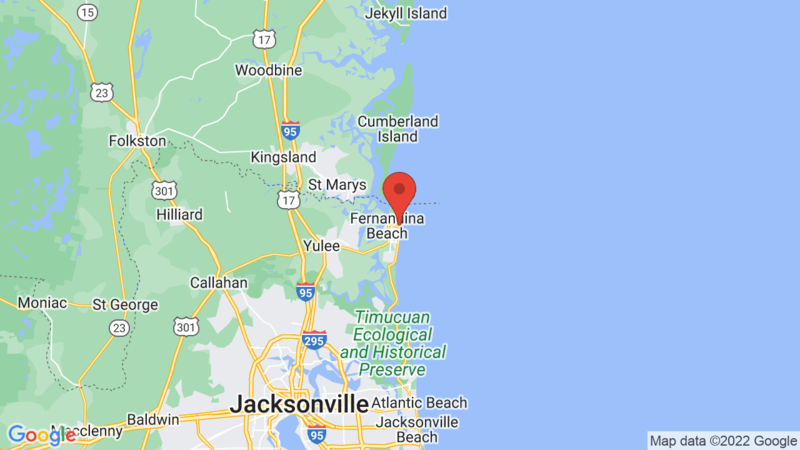 Visted Fort Clinch State Park Campground lately? We'd love to hear about your adventure. Did you find us useful? Did we forget something? Anything our community should know before heading out to Fort Clinch State Park?